Are you organizing your craft supplies? Do you dream of a craft studio that inspires? Here’s a fabulous and FANCY craft studio that belongs to the lovely Tiffany from The Fancy Farmgirl. I’m sure you can find a bit of inspiration in this amazing space! All those vintage baskets and supplies are so pretty I’d even trade my dog for them…and that’s sayin’ something. This look doesn’t happen overnight! Etsy has a great selection of vintage containers that would be perfect for this type of craft supply storage. The details really bring this space together and make it shine with style. Surrounding yourself with things that inspire you can only help you to create at your best. You can find more of this fabulous and fancy craft studio here. Tiffany and I share a love for vintage trailers and all things pretty so I love her blog…check it out! Simple ideas for those little embellishments and other small craft supplies can be found in one of our most popular craft storage posts from last year. 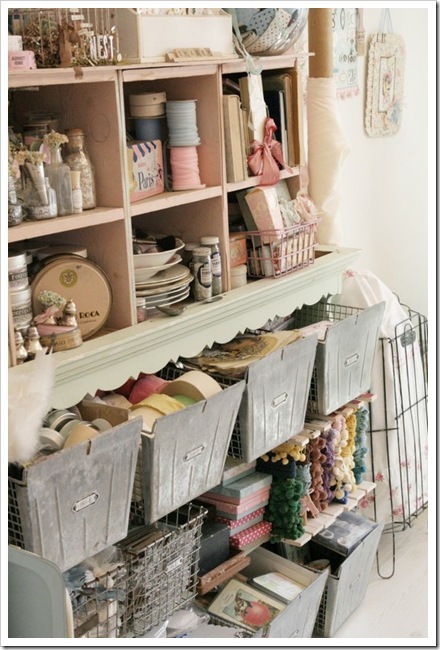 Get organized with beautiful vintage storage ideas from this post. Got baskets? Here are some great ideas on how to use those baskets to organize and control the chaos! 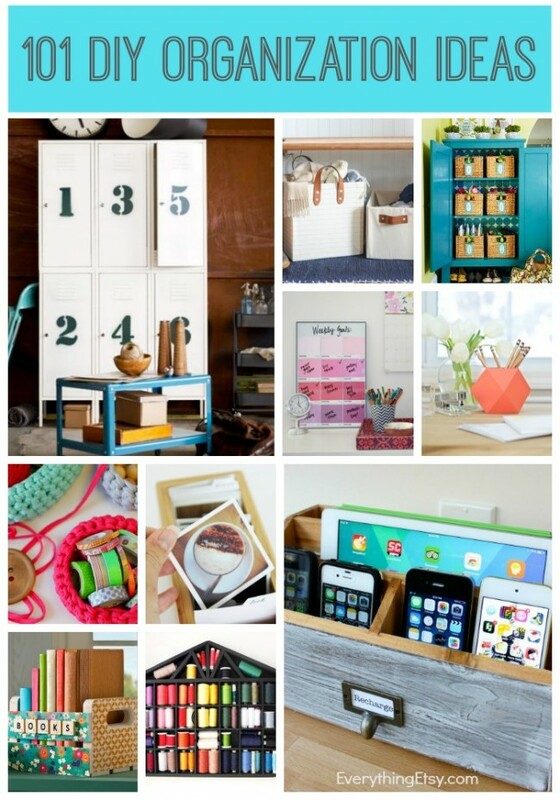 Check out these great scrapbook supply storage solutions! 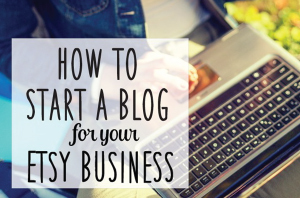 I’m sure you’ll find a new idea you can use in these links! I’ll be posting more craft storage tips soon. 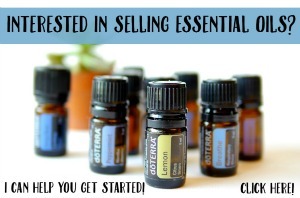 Are you organizing your supplies? What’s your favorite type of containers? Great post. That room is a dream, thank you! Oh my gosh – that is the COOLEST room ever! How inspiring would that be to work in. Thanks for sharing! I am in love. It’s YUMMY! Anyone would be inspired to work in such a creative and fun space. Sweet! Well heck, that makes my little craft corner look really sad, lol. Something to strive for, thanks for all of the helpful links! !